Plantronics Headsets Plan for Productivity - Headsets Direct, Inc. The key to productivity is following a strategic plan. Plan your days to be as productive as possible by using the technology available to you. 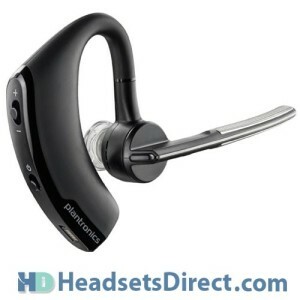 Plantronics headsets are highly respected as a quality product. The audio quality and design durability stand out from the competition. Productivity equals profit. If your employees can work an entire work week completely comfortably, revenue will increase, while the costs of running the business stay the exact same. Keeping employees happy is not just a “nice” thing to do. The best run companies have some of the truly happiest workers. Plantronics headsets are known for their comfort. Comfort allows for creativity and problem solving. If one is having discomfort, he or she will be focused on that, rather than what they need to be doing. Most workers have a point in their day where they feel “in the zone” or “in the swing of it”. This zone of being able to do one’s job without thinking is “the zone” all employers want for their employees. Quality of products will increase with workers’ comfort level. Whether the product is physical or customer service, the value of that product will be noticeably better. As an employee is made happy, so will your customers’ satisfaction increase. Because the strategy of happy workers equals happy customers has been proven, many companies go to great financial lengths to fulfill their employees’ wishes. Investing in new, comfortable and high-end Plantronics headsets is a very minimal financial investment comparatively but will yield amazing results. We do not claim “results” lightly. Plantronics conducted a study in 2004 on exactly how and why the yield of success is so high when employees are satisfied. Often, it is the simple act of showing care and compassion, not necessarily any new equipment. Showing your employees that you care how their spine feels at the end of the day will encourage them to work harder for you because they know you work hard for them.